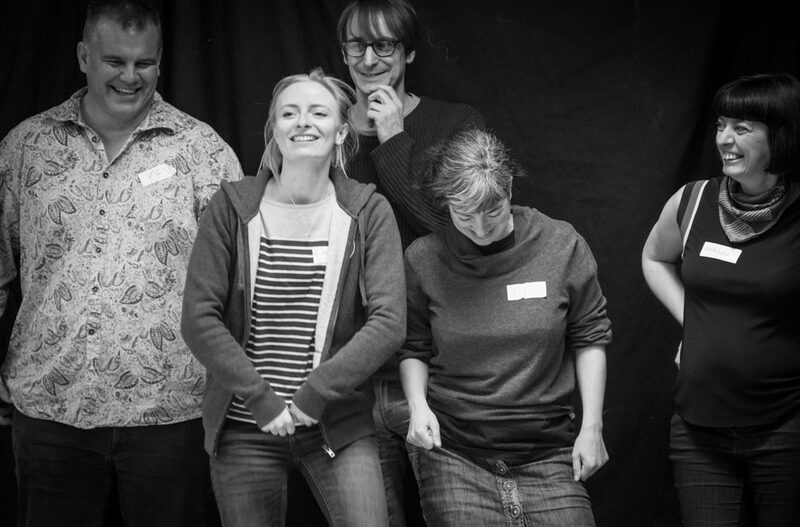 I am used to recruiting large amateur casts –but the opportunity that the ACE grant has given me of using professionals – and the luxury of being able to be in a rehearsal room all day for 5 days a week, excites me enormously. Amateurs do it for the love; from Amar: to love; and I will always love them for it. There’s nothing like the sense of well-being and achievement that goes through an amateur cast after they’ve pushed themselves hard over many evenings and Sunday afternoons to make a show as good as it can be, and then finally to present it to an audience. Friendships are forged, tested and made to endure in the act of making theatre together. Now we are the pros – seeking amateurs to join us in each place we visit to sing the songs and join the show for the evening. Working as an amateur company, with The Common Lot, alongside the RSC on the Dream 16 project in a truly brilliant flagship collaboration between amateurs and professionals, see www.dream2016.org.uk, was a massive influence on me . There will not be the terrifying logistics of that mighty endeavour, but the model remains the same – amateurs and professionals working as peers to make a great show. With 1549 the professionals, whoever they turn out to be, will be working intensely together from the last week of April in a short 3 week period before the show opens at the Arts Centre in on May 14th. I hope we can generate the same camaraderie that comes with an amateur cast. I think we can, but I will be choosing them carefully, recruiting on attitude first, and skills second. It’s so important to have a team that buy the story and want to tell – it IS a great tale. They will also have to work with amateur volunteers in the community singing workshops – and be open enough to want actively to integrate then into the show.